DreamingCode Commerce supplies you with the necessary tools to successfully run your business online. Boost sales with a smart and easy-to-use CRM & eCommerce system for business-2-business customers. DreamingCode offers password-protected websites as well as registration and login modules so your business can provide for other businesses wholesale or at personalized prices. 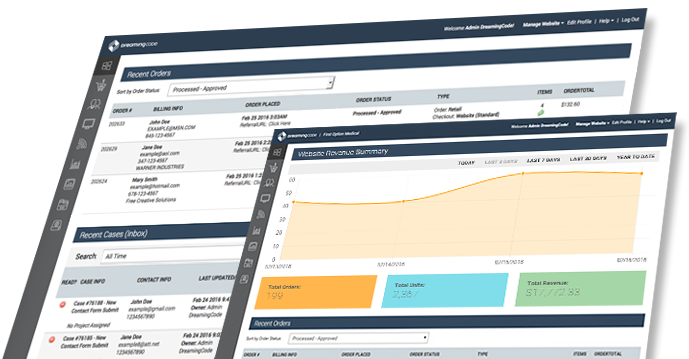 Our customer relationship management platform includes real-time, multi-location inventory and order fulfillment. DreamingCode supports personalized content and pricing for each customer. Different items, pricing and content can be easily displayed to different customers. Create a B2B storefront that is targeted to your buyers and even offer tiered pricing for preferred customers. We analyze your existing fulfillment process and identify all your integration requirements pertaining to order fulfillment and product / inventory management. 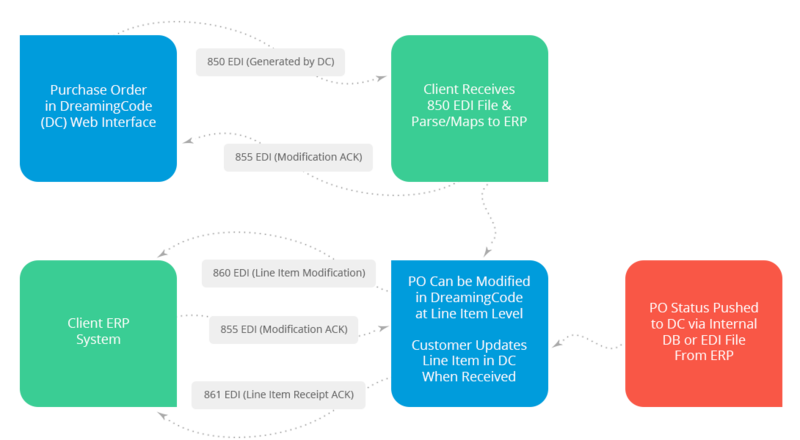 Our EDI integration method can handle standard EDI process flows as well as custom file generation / consumption based on your existing ERP / Business Management software. Commerce across mobile, web and retail in the cloud. Whether you sell directly to other businesses, through resellers and distributors, or you are strictly a consumer based business, DreamingCode's eCommerce Platform will enable you to drive revenue more efficiently through any channel you use. 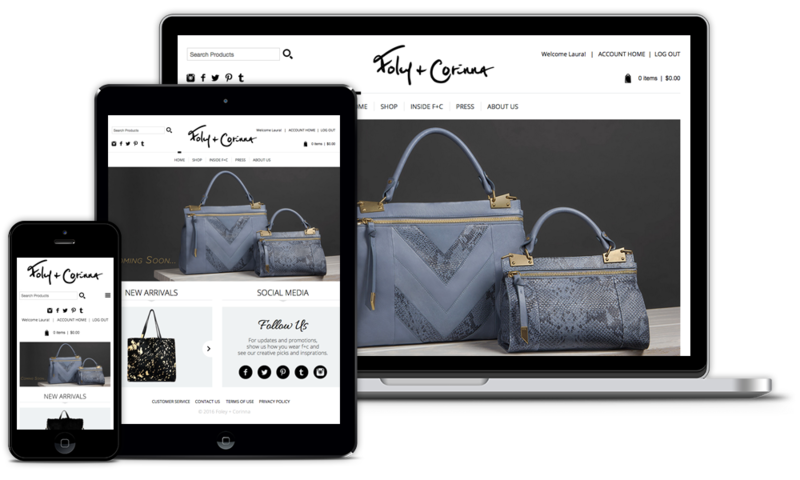 True eCommerce is much more than just an online presence, it's about automating operations to increase quality customer service, reduce costs, eliminate order errors and providing your sales force with the right tools to be successful. What kind of security tools exist in your B2B platform? You can require users to register to browse the entire site and/or set your catalog to be 100% private (only available to registered users). A simple setting allows for users to see pricing on items, only after they are logged in (suppress pricing on catalog). Based on their login, users can see custom pricing levels. What types of payment tools exist? Do you offer and B2B Marketing Tools? Yes, Of course! Offer your customers discounts that are specific to them. Offer Free Shipping or shipping over a certain dollar amount or order threshold based on Customer type. Create Percentage (%) or Dollar amount ($) discounts via coupon or assign it automatically to their login type. What happens upon the launch of my site? You're in good hands! Our Radical Support kicks in, we help manage your entire system. 24/7/365 monitoring and technical support by a dedicated team that will know your business. We continue to manage your entire web IT infrastructure that supports your e-Commerce initiative.